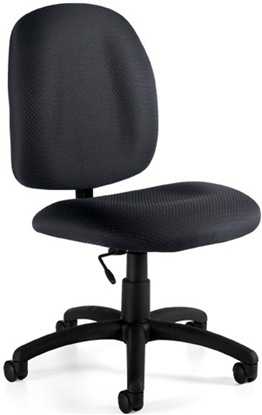 One of our most affordable office chairs, this armless task chair features fabric over thick contoured seat and back. 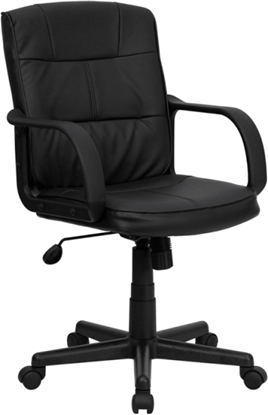 Also includes depth adjustable back, pneumatic seat height adjustment and heavy-duty nylon base. Perfect for a small home office or shared workspace. 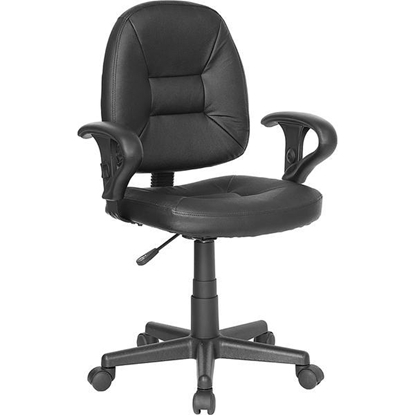 An affordable task chair that would be great for a home office or small office. 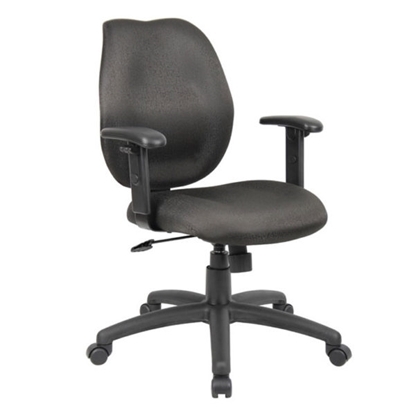 The B317 task chair features Pneumatic seat height adjustment and a thick padded seat and back with built-in lumbar support. A great chair for fun at home and for serious work at the office. 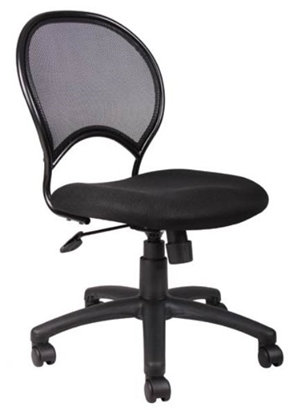 This ergonomic chair with a race car style design features seat height adjustment, tilt tension control, padded arm rests, and contoured segmented padding. 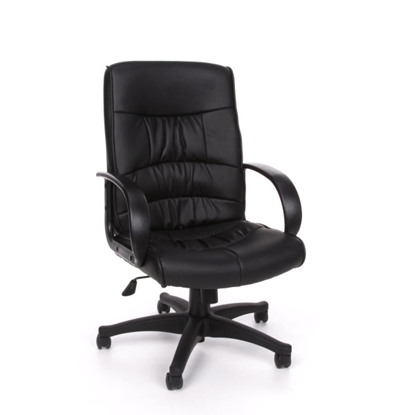 Get the feeling of leather with this LeatherSoft office chair. LeatherSoft is leather mixed with polyurethane for added Softness and Durability. 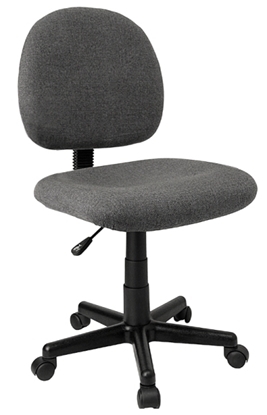 This chair also features upright tilt lock, nylon arms, and a pneumatic seat height adjustment. Order today and get free shipping! An affordable solution to your office or home office seating needs. 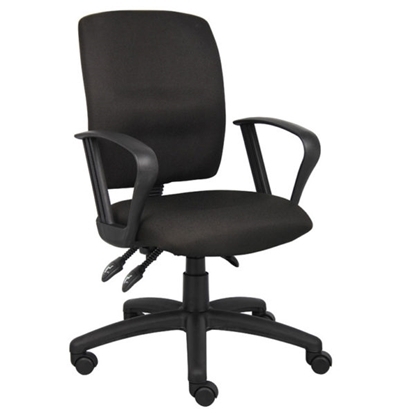 This office chair features loop arms, ratchet back height adjustment, and is holstered in a black commercial grade fabric. 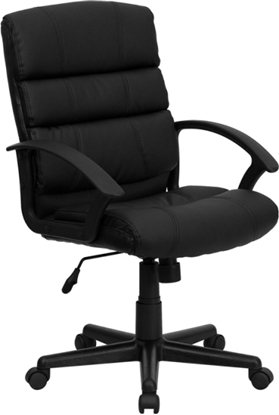 One of our most affordable Executive Office Chairs, the Boss B8306 features a two piece cushion, providing you with good support and comfort. 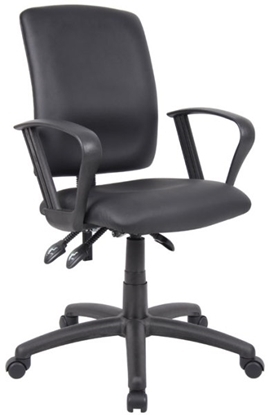 This model comes in Black or Grey fabric with an adjustable seat. Perfect for a home office or business. 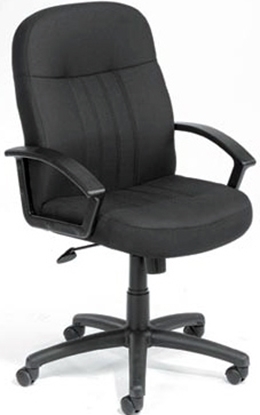 Free shipping and warranty on all discount office chairs. 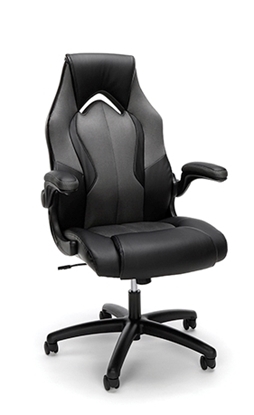 A chair designed with racing seat inspirations, this chair provides luxury and comfort whether it is being used for long work days or intense gaming sessions. 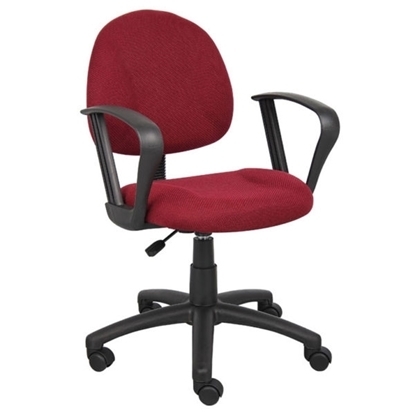 This chair features height adjustment, center-tile and tilt-tension control, padded arm rests, and a 360-swivel. Sit comfortably in your home office or commercial office with this fabric task chair. This chair features height adjustable arm rests, pneumatic gas lift, and a seat cushion made from molded foam. 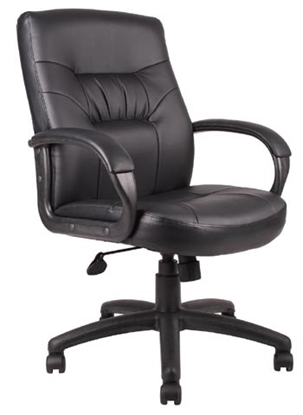 This comfortable high back executive desk leather chair features passive ergonomic seating with built in lumbar support. Its affordable price and quality make it a good value for your business or home office. Perfect when matched with one or our office desks. Get free shipping and a full warranty on our collection.